Dr. Maddigan is passionate about providing community members with state-of-the-art treatment at his chiropractic care center. At Maddigan Chiropractic we welcome family members of every age and from every walk of life. We cater to the needs of every patient, from babies and teenagers to young professionals and those in their golden years. Our patients love our emphasis on gentle, low-force adjusting techniques in a caring and compassionate environment. 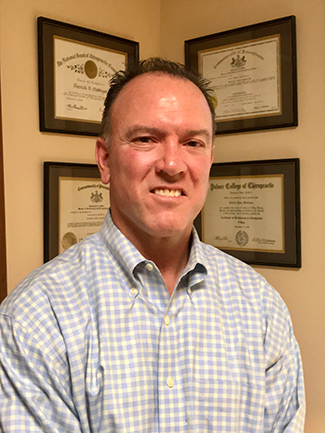 He is also a member of the Pennsylvania Chiropractic Association (PCA). Get to know more about Dr. Maddigan when you book your first appointment with our practice. We look forward to meeting you!